Last week, in the absence of reliable polling data, education activist and data/design guru Kristin Johnson and I began mapping contributions to Suffolk County D.A. candidates hoping to find clues as to where the candidates stood in relation to one another. What we ended up finding, at least anecdotally (for now), was that concentration density of campaign contributions, spread throughout a district evenly, appear to more reliably predict electoral outcomes than polling. 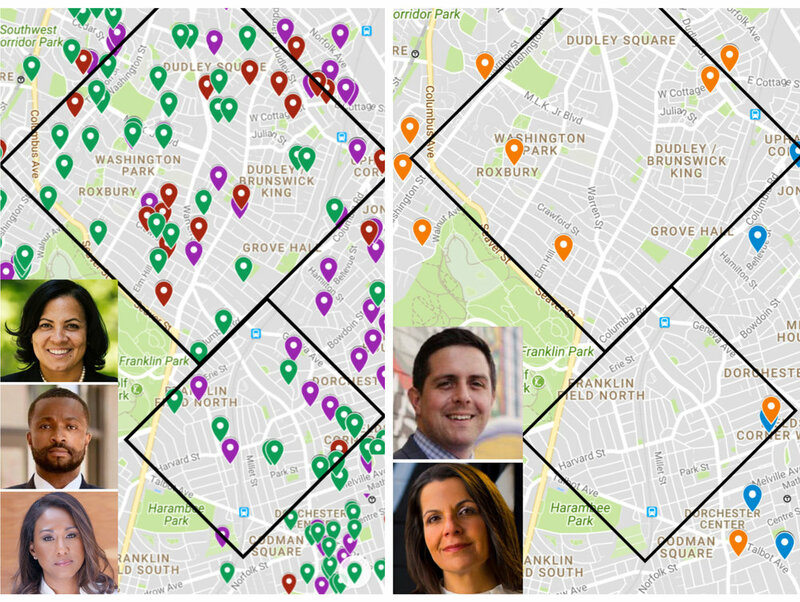 As can be seen in the image above, Rachael Rollins had the highest density of contributions in the Suffolk County neighborhoods most prosecuted by the D.A. 's office. Following the Sep. 4 primary, in which Rachael Rollins won 40% of the vote [and tending to provide support for our contribution density spread throughout the district theory], a number of local media outlets began elevating the stature of her opponent in the November general election, Independent Michael Maloney. A Boston Herald article prominently positioning Michael Maloney as a viable candidate for Suffolk D.A. WGBH did a segment calling Maloney "charismatic," citing unnamed pundits who predicted a "tough race." 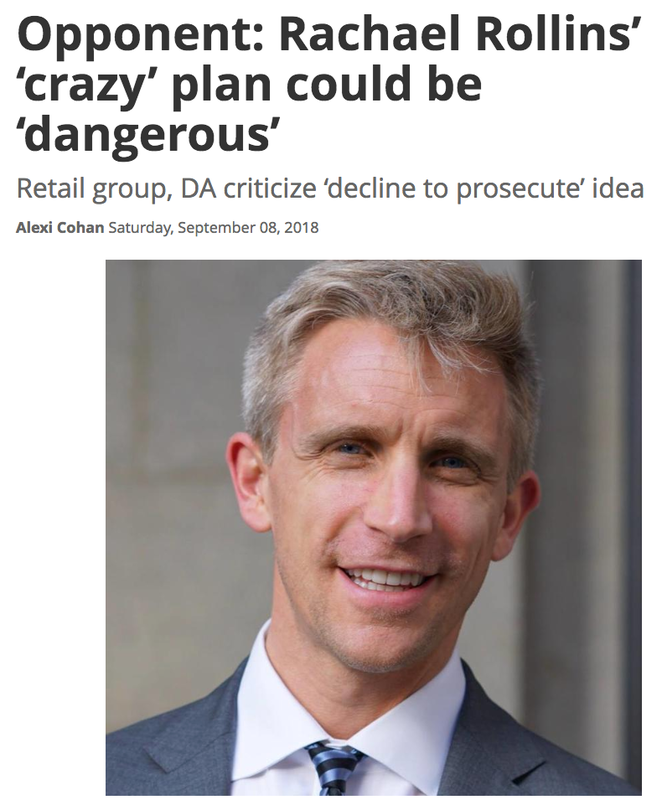 The Boston Herald, above, prominently featured him as an authoritative, credible figure, quoting him referring to Rollins's proposed plan [to move away from a prosecution-based paradigm with a 67% failure rate] as "crazy." Which made me curious: Based on what Kristin and I found, what does the OCPF database say about Michael Maloney's viability as a candidate for Suffolk D.A.? As the image above shows, Michael Maloney has a total of 13 entries in the OCPF database to date, amounting to $11,258. Four of the contributions are from himself, totaling $9,615, two are Paypal deductions, which aren't contributions, one is from Colorado, and another is from Jane Fulton, his campaign manager. To date, this means Michael Maloney has raised a total of $655 from Massachusetts voters not named Michael Maloney, and not a single one of them can cast a vote for him. As shown by the above chart and the map of Suffolk County at top, despite five months of campaigning, being allowed to participate in several highly publicized primary debates, and being given an enhanced image of viability by WGBH, the Herald, and others, Michael Maloney has not persuaded a single prospective voter in Suffolk County to contribute even one dollar to his campaign. 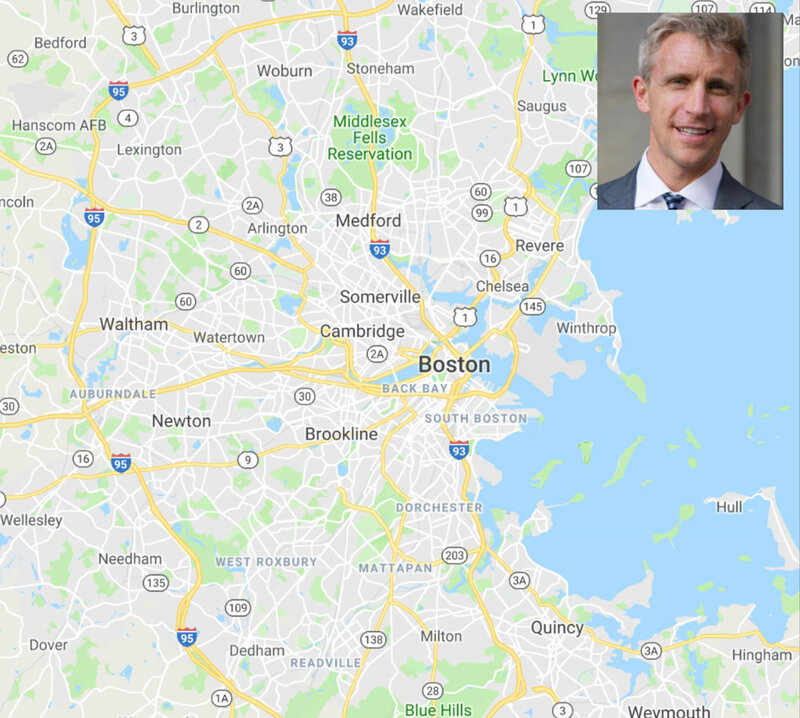 Zooming out a frame further, above, it appears he hasn't persuaded a single person inside the Route I-95 Greater Boston Metro belt, either. 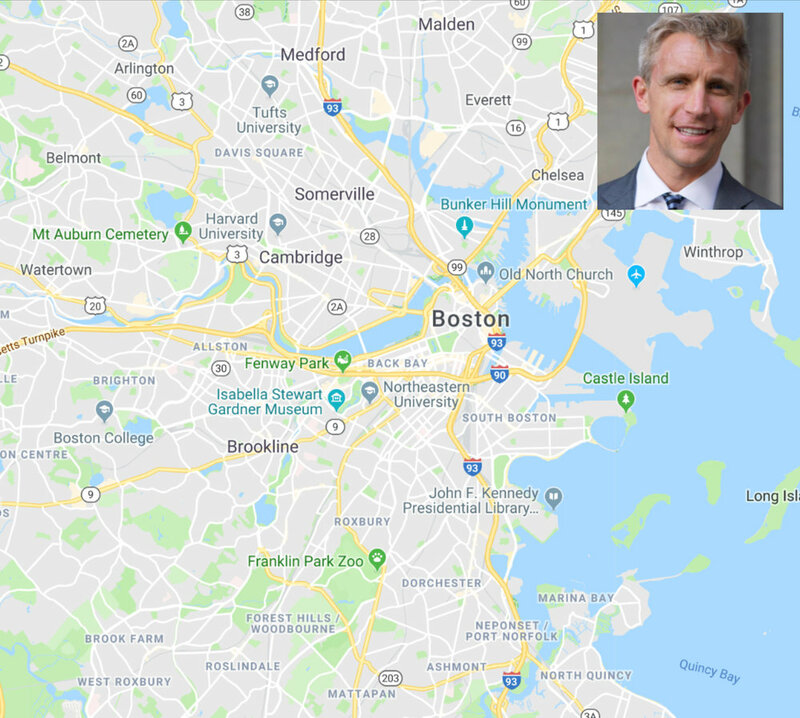 In fact, as shown above, if you want to locate Maloney's closest contribution to Suffolk County, you have to zoom out so far Rhode Island comes into the frame.